Play is undoubtedly one of the most important factors that influence the growth and development of a child. It helps the child to grow into a well-rounded person by promoting his/her physical, cognitive and social development. Lack of enough free, spontaneous play does not only hamper development but also harms a developing child. Understanding a child’s natural yearning for physical activity and providing them with the appropriate playground structures is giving them a gift they will enjoy throughout their lives. They will learn how to engage in healthy exercise from an early age, which will lead to a lifetime of healthy and happy living. – Promoting physical activity: Physical exercise has endless benefits to children – emotional well-being, resilience, positive mood, and so on. And who can forget that obesity levels among children are rising by each dawn. In 2014, the American Academy of Pediatrics declared obesity and overweight a national emergency. It also indicated that prevention through play is the only sustainable solution to these health problems. – Encouraging social interaction: Children develop values and skills such sharing, empathy, negotiating and leadership through social interactions on the playground. – Supporting creativity and problem-solving: Some play experiences trigger cognitive development in children. In children who are around 6 years of age, play helps to improve sensory stimulation. In older children, especially those approaching adolescence, creative play enables for development of coping skills so that the child develops flexibility towards problems. Studies have shown that there is a big correlation between physical activity and cognitive function. Multipurpose open spaces allow children to engage in a wide variety of activities including running, crawling, jumping, gross motor activities and so on. Adding balls, toys, building materials, beanbags, and other playing equipment adds flexibility into the space so that every child can find something exciting to do. For the children to interact and socialize freely, the playground should be highly accessible to children of varying backgrounds. Children of different ages and abilities should be able to access and enjoy the playground and interact with peers. It’s therefore inherent that considerations are made about path width, surface texture and play structures and equipment with reference to children’s various physical abilities. Walkers, wheelchairs and other mobility aids should easily access the playground. The point is, when setting up the playground, think about every child that will need to play on the play space. Studies have shown that children portray higher levels of physical activity when the playground combines manufactured equipment with natural materials. Trees, long grass, boulders, stumps, water, sand, pebbles and so on makes the landscape more beautiful and welcoming. Natural materials provide variety, adventure, and interest. Such a combination makes for a high-quality play space that encourages children to grow both physically and intellectually. It creates an environment with elements of risk and challenge. Children can create their own challenges such as hide and seek games, climbing over boulders, and jumping off tree stumps. They can engage in activities of varying difficulty and complexity, thus enhancing their physical, social and cognitive capabilities. Playground safety requires careful consideration of the children’s ages and abilities. Adult supervision is also highly required in outdoor play spaces. 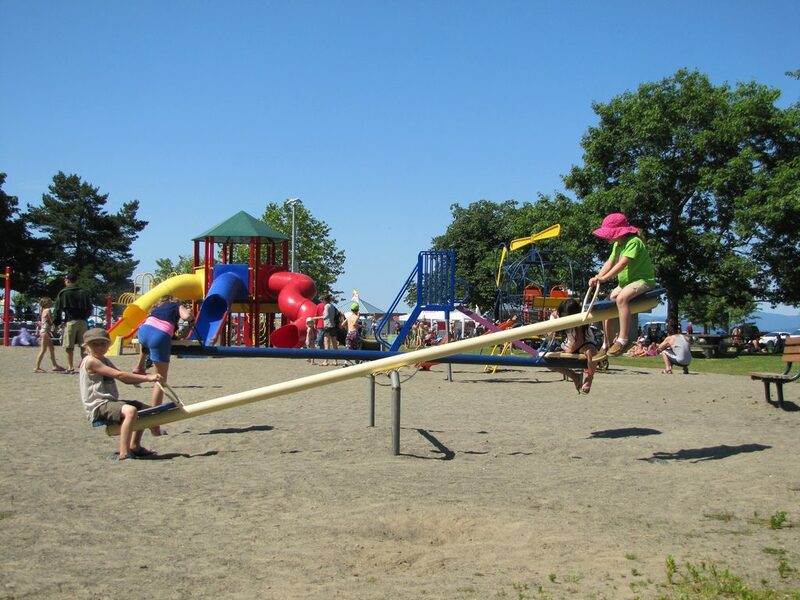 When planning for a play space, it’s important to go through regulatory codes in the locale. For every state, there are specific building codes and childcare licensing regulations relating to the design and equipment that a playground should have. If you are planning for enhancements and changes to a children’s playground, it’s good to first consider what you want the children to have. Focus on the movement opportunities that the children have, then go ahead and choose the equipment and surfaces that will best accomplish this objective. Another key thing to remember is that safety comes first. Many parents would better have their child relax on a bench rather than letting them hurt themselves when playing on an unsafe playground. 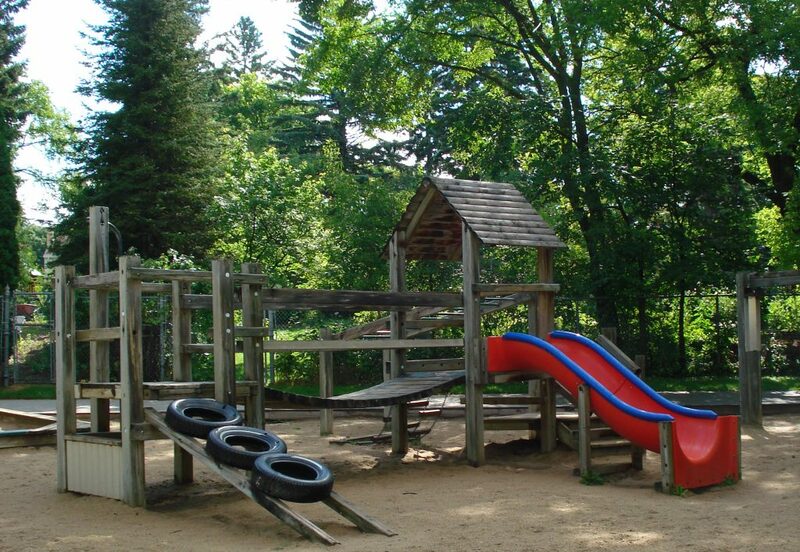 Therefore, make the entire playground environment unquestionably safe for the children. With a safe, creatively designed and adequately equipped playground, you can give a child a gift that will keep them smiling all the way to old age; and that is play.